What Is Included In Our Prices? All labour and materials are covered, including: • All exterior cabinet surfaces • Both sides of all doors • Both sides of drawer fronts • Replacement felt door/drawer bumpers • Prep work - includes minor wood repairs, caulking of cabinets (if required) and sanding of all surfaces after priming • All surfaces to receive a high bonding primer to promote adhesion • Prices include 2 finish coats max. 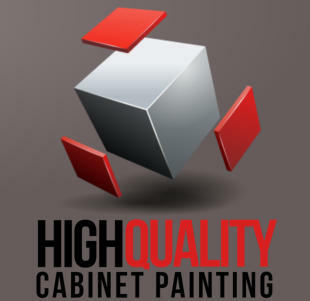 on all surfaces *White, black or deep/clear based colours may require extra coats - on the cabinets only* (add 20%). • Prices include 1 colour throughout - additional colours add $150.00 per colour change/addition What Is Not Included In Our Prices? • Unexposed surfaces that cannot be seen from normal viewing angles (ie. tops of cabinets, bottom/top unseen edges of doors and drawers etc.) These areas can be done on request but extra charges will apply • Caulking of door/drawer panels (if requested) Add $6.50 per door/drawer per side. If they are done at a later date the price will be $11.00 per door/drawer, as the caulked joints will need painting as well. We do not recommend caulking doors/drawers. • Insides of cabinets - unless specified on quote • Removal & replacement of door/drawer handles and bumpers - to be done by customer prior to job start date. Handles to be replaced by customer after 3 day waiting period • Installation of new replacement hinges • Any major wood repairs, filling of handle holes etc. • Removal/moving of any appliances, and items from countertops, shelving etc. - to be done by customer prior to job start date • Cleaning of cabinets - to be done by customer prior to job start date • We remove and reinstall all doors and drawers exactly as originally installed (with the same hinges etc.) Although we can usually do minor adjustments/alignments to correct minor issues, we are not responsible for aligning the cabinet doors and drawers. A carpenter or cabinet installer is recommended to do any major adjustments needed. * Extra charges will apply to any items not done by customer (such as cleaning, handle/appliance removal etc.) and ready by morning of job start date, as per outlined on our written quote. * Hourly rate for any additional work as listed above or not included in our written quotes will be $70.00 per hour plus material costs. * Although we provide colour consultations as a part of our service at no additional cost, the customer is responsible for all final colour choices. * Please note final payments are due at time of job completion. Any fees related to collection of unpaid balances (legal fees, property liens etc.) will be added and collected from the customer. Questions? If you have any questions or concerns about anything not listed here please give us a call or email us.